Please Click Here to see the latest news from the GBS|CIDP Foundation. No better way to show you care for rare. 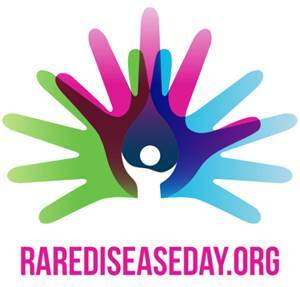 This Rare Disease Day (February 28), the GBS|CIDP Foundation will be launching an online Patient Registry for patients with GBS|CIDP or variants of the condition. The GBS|CIDP Patient Registry, consisting of patient reported surveys & questionnaires, will allow healthcare professionals access to critical, de-identified patient data, while pursuing medical advancements and developing patient resources. It will be hosted in partnership with the National Organization for Rare Disorders (NORD); an independent non-profit patient advocacy organization dedicated to individuals with rare diseases and the organizations who serve them. Studies of these conditions may take years to finish, but patient reported registries provide power in numbers! The Foundation will provide periodic updates and results with the discoveries made possible with this impactful data. On this Rare Disease Day, and beyond…if you are a patient, or represent a patient living with GBS, CIDP or a variant of the condition, we encourage you to enroll in GBS|CIDP patient registry and show you care for rare!